In japan, March is the time of the year when japanese universities hold their graduation ceremonies. University graduation ceremonies are held in the luxury hotels and students attend with a hakama for girls and suit for boys. hakama are a typical of a japanese clothing. There were originally worn only by men, but recently there were worn by both sexes. Hakama are tied at the waist and and fall approximately tot the ankles. Hakama are worn over a kimono. Also at the end of march the cherry blossoms start in some regions of japan, while in nothern japan weather conditions are still good to practice winter sports. The plants and trees start to flower such as plum tree, the climat is getting warmer and deliver the first signs of spring. 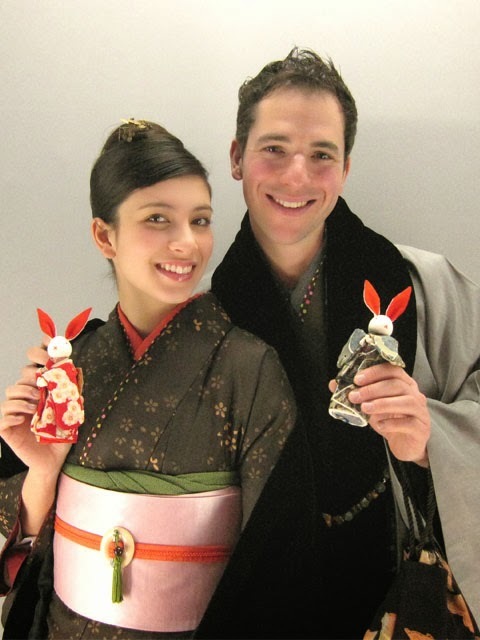 It's a really good moment to get dress up with kimono and walk around the city of Kyoto.